ESPIRITU SANTO, Vanuatu – Vanuatu is a scattering of 83 tropical islands amidst the blue waters of the South Pacific. Often referred to as the Happiest Place on Earth, stand up paddle boarders, divers and cavers will be left with serious face-ache after visiting Santo’s palm-fringed shores. Santo lies in the country’s far north and is the largest of all the isles. Despite the size, the densely forested island remains in a largely undeveloped and undiscovered state; a single sealed road providing access to the small eco resorts that dot the eastern coast. Once a logistics base for the Allied Forces, Santo’s remote appeal lures intrepid travellers and it remains a place where pretty much anything’s possible; if your adventurous streak is strong enough. This is a place where Mother Nature shows off in all her pristine glory. Her volcanic heart beats beneath tangled jungle through which wild rivers run. A skirt of white and black sand runs along her girth and is surrounded by fringing coral in a bejewelled turquoise sea. Famed for the WWII dive sites of Million Dollar Point and the President Coolidge, Santo is also home to the spectacular and much-photographed white sands of Champagne Beach. But it’s the virgin rivers, fresh water blue holes and vast coral gardens that hold the greatest appeal for stand up paddle boarders. Unfortunately, on Santo’s coast, there are no accessible waves to be ridden with a SUP board. Off the beaten path, uncrowded, anything goes! Espiritu Santo is home to tropical waters, WWII relics, friendly locals and more! Apart from a couple of boards for use by resort guests, you can’t rent stand up paddle boards on Santo. The best way to explore Santo’s natural attractions is to BYOB; or join a small group tour such as those offered by SUP Wilderness Adventures. For more SUP destinations check out our Destinations Guide. There are two ways to approach this incredible blue hole; by road, starting at the spring-fed blue hole, which is presided over by a massive banyan tree with bamboo ladder and Tarzan rope; or from the Oyster Island landing and then paddling 45 minutes up the Matava River through sunken forests and tranquil jungle. (VT500 Kastom Owner fee payable either way at the blue hole). A giant banyan tree helps to keep the Matevulu Blue Hole hidden. The Matevulu Blue Hole is a true beauty. The Jordan River is Santo’s longest and should never be attempted without the permission of one of the High Chiefs of Matantas. It is a sacred river and you will require his blessing first. This is one of the most remote areas in the world and there is no phone coverage and are no rescue services, so always hire a local hunter-guide to accompany you in case you have an accident. (Only they will know how to trek out through the dense jungle and how to find food). The river is extremely prone to flooding and warring tribes are known to live in the area, so again, you must be culturally sensitive and accompanied by a respected local. There are venomous snakes in the limestone cliffs, wild boar on the plains and in the jungle, and numerous rapids of varying grades along the length of the river. Submerged hazards should be expected. Apart from that, this is a spectacular Jurassic park style environment and the swift water paddle from the Lape River drop-in point to the river mouth takes approx 5 hours (45km). Pack in-pack out and be totally self sufficient in every way if you attempt this. (Many of the other rivers on the island are sharky environments or inaccessible. Check with a local Ni-Van from the area before attempting). The drop-in point for the Jordan River. Accessed via the village of Matantas, you should have a local accompany you before going to the swamp. It’s a lily-encrusted wetland that has no easy drop-in point and so your guide is likely to drive over trees and clumps of pineapple to find a place that can be hacked with machete to get to the water. It’s slow paddling but exquisitely stunning, with iridescent dragonflies flitting between the blossoms. Legend has it a WWII fighter jet crash landed in the swamp. It has yet to be located. The Wetland Swamps is a slow, but beautiful place to paddle. All along Santo’s east coast are stunning islands and coral reefs. Most easily accessible are Aore, Aise, Turtle, Dolphin and Oyster islands. Each is different and each is simply stunning and well worth a paddle. BYO snorkel and mask. The northern east coast beaches of Port Olry, Lannoc and Champagne are picture postcard perfection. Think white sand, palm trees, thatched huts, aqua waters and WWII relics just lying around. Stay a night or more and sleep in a thatched bungalow on the beachfront or in a gnarly old cyclone tree. BYO hammock. Port Oly offers crystal clear waters and white sand beaches. Accomodations at Espiritu Santo: (left) Port Olry Treehouse, (right) Matantas Village thatched hut. It is not advised to paddle between Luganville and Aore island due to strong currents. Check with local Ni-Vanuatu people before paddling in remote locations where there is black sand as sharks can be an issue. Always pay the Kastom Owner fee (usually about VT500) when entering a river, beach or blue hole. This is how local people earn a living and it is their private land you are gaining access to so respect the privilege and do not haggle over price. Do not collect shells or WWII items that you find. Some beaches have no shells remaining thanks to expats and tourists. Do not eat Coconut Crab even though it is on the menu. It is an endangered, slow-growing species. Being offered kava in villages is a traditional welcome. Accept at least one shell. Bring clothes, shoes, medicines and school supplies as donations. Always ‘tip’ local people who assist you or show you a location. It may appear to be a kind gesture and they will not ask, but there is an unspoken expectation that they will receive VT200 – 500 in return (although frustratingly, no one will ever tell you this). Happily, there are no crocodiles to worry about in Santo. Although small in size, Santo has a lot to offer to the stand up paddler. The island has a tropical climate and the weather is generally good year-round. From April to October, temperatures hover around 28°C, whereas November to March sees the arrival of the wet season. That’s when it gets a lot more humid and afternoons are usually punctuated with torrential rains. Forget entirely about visiting in March as it’s when the cyclones pretty much always hit, so businesses across the island close for the entire month. Prevailing winds depend on the location and the season, but the blue holes and rivers are always sheltered. Water temperatures are a mild 22°C to 28°C year round, so no matter when you visit, swimming is always enjoyable. No need for a wetsuit at all; just a rashie and hat so you don’t suffer from sunburn. Peak and off peak seasons are also an important consideration as Australian and New Zealand school holidays see an influx of holidaying families. Cost-wise, end January, early February and November are slow for tourism, so there are no crowds and some fantastic deals available. CYCLONE PAM: Vanuatu has been in the news of late, thanks to the devastation wrought by category 5 Cyclone Pam. Thankfully, not all of the islands bore the brunt of her fury and Santo was spared and businesses are operating as normal. The President Coolidge and Million Dollar Point are the iconic dives in Santo. However, there are many other incredible wrecks and reefs also waiting to be explored. Awesome WWII relics can be found when diving off the coast of Santo. This incredible full day tour involves caving, canyoning and jungle hiking. It requires a high level of fitness. NOT suitable for young children under any circumstances. Apart from Matevulu Blue Hole, don’t miss a visit to Riri Blue Hole, where a local will paddle you upriver in their dugout outrigger canoe (be careful of horned nerite snails under the pontoon). Also worth a dip is Jacki’s (Nanda) Blue Hole, on the way to Champagne Beach. The clear sea water at Lannoc and Champagne beaches appears to be carbonated thanks to a series of underground fresh water springs that bubble to the surface year-round. Simply stunning! Port Olry’s beach though is perhaps the greatest local secret and the cantinas on the beach offer deliciously fresh seafood! Stay in the tree house (sleeps two). There are many traditional village trips you can take but few people make it north to Matantas in Big Bay. This wonderful place has thatched guest bungalows along the black sand beach and is the gateway to Vanuatu’s only National Park; the UNESCO listed Vatthe Conservation Area (a birder’s paradise). Stay overnight and check out the lookout, Matantas River and the lily-encrusted “swamp” too. There’s only one operator that offers regular trail rides on Santo and they’re located at Lope Lope Lodge. Megan rescues abused horses and rehabilitates them before allowing them to choose if they want to be ridden by tourists or left to graze in the five-star lodge grounds. Rides pass through a coconut plantation and section of jungle before emerging at a blue hole and finally the lagoon where horses are allowed to swim (tide-permitting). The local transport for the island. There are many fishing operators on the island at varying prices, depending on boat size. Each has their own territory. Only the one fishing around Aese Island is operated by a local. SUP Wilderness Adventures - Small group SUP adventure tours to exotic Bucket List destinations around the world. Week-long Santo SUP tour departing October 2015. Passport To Adventure Santo - Information about the best eco-tours on Santo. Bay of Illusions Guest House - Official page for Big Bay guest houses and information relating to Matantas village. Wrecks to Rainforests – Tour booking agent located in Luganville (Santo). The ultimate in Bucket List expeditions, these SUP adventures are led by scientists, naturalists, professional photographers, anthropologists or aid workers. SUP Wilderness Adventures create experiences that most people can only dream of and strive to make them affordable for everyone. Each trip provides opportunities to discover an exotic destination in a way that provides insight into its history, environment and culture. The company supports local businesses by partnering with quality operators and seeks out authentic Indigenous experiences whenever possible. You needn't be experienced or extremely fit to join. 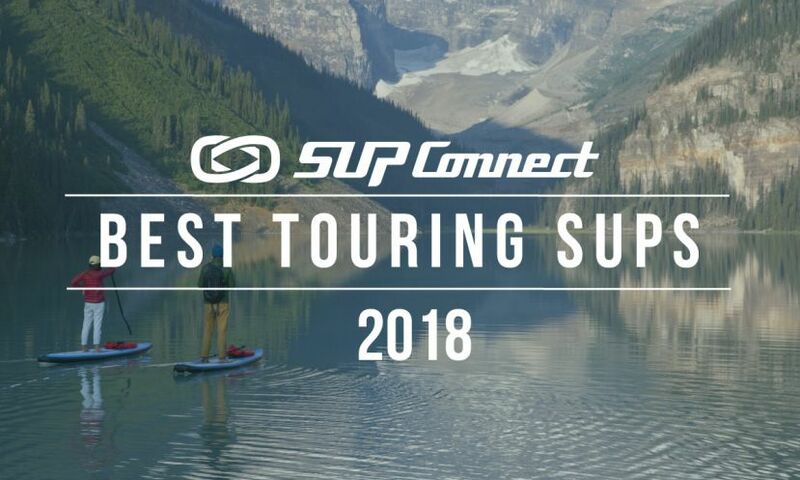 These are trips that focus more SUP & sip, than SUP racing or SUP yoga. You do need to be adventurous just the same, as when not paddling, there are opportunities to swim with whale sharks, dive, cave, raft, hike, travel by elephant and generally get off the beaten track. Accommodations range from castles to tree houses, boats to thatched huts on the beach and everything in-between. Group sizes tend to be constrained to 8 to 10 people so when the journey is over, you leave with a new set of lifelong friends. Check out all our destination features to find your dream paddle boarding destination! Chantal Clarke (AKA Dunbar) is a journalist, Climate Change scientist and social scientist. She founded SUP Wilderness Adventures in 2015 in order to help Indigenous communities in remote locations. She does so by taking small groups of like-minded people to explore off the beaten path destinations, where they learn how to implement environmental and social projects with local people.